Many a time you may notice a very annoying issue with your chrome browser. Some particular websites cause an issue in loading and show a message at the bottom ‘Resolving Host’. In some cases, the websites load slowly and in many cases, they do not load and show up a message ‘Server DNS Could Not be Found’. Today I have come up with few potentially useful solutions to fix this issue of resolving host with your Chrome. This is one of the easiest and most useful fixes to stop the issue of resolving host. Simply visit the URL ‘chrome://net-incternals/#dns‘. Click on Clear Host Cache button next to Host resolver cache. If your DNS cache is outdated then you have is manually delete it. Type ipconfig /flushdns, hit Enter. Restart your computer to check the issue. Next simple thing you can do is clear your browsing data (Do not confuse it with browsing history). Go to Setting of your chrome browser. Scroll down and hit on Show Advanced settings. Here under Privacy and click on button Clear Browsing Data. Web sites will start loading. Search for ‘services.msc’ in the window and open the services. Look for the option named DNS Client. Right click on it and tap Restart. Note & Conclusion: I hope the post was helpful, do comment below for any assistance required. 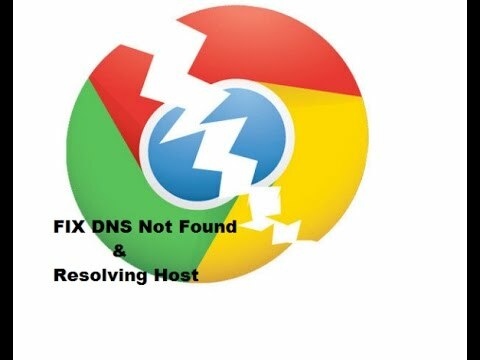 If you've any thoughts on How to Fix Resolving Host Error in Google Chrome ?, then feel free to drop in below comment box. Home » Tech Tips » How to Fix Resolving Host Error in Google Chrome ? This issue is driving me mad! I have followed and tried all the solutions above. However I am still having to clear the DNS resolver cache as often as once every hour! The error drops my internet connection thus disconnecting Skype and any website or people I am working with. I am running Windows 7 on this dektop PC, the issue has only begun over the past few months. It does not seem to affect Windows 10 on my new laptop, yet! Surely there must be a permanent solution to this nonsense or does Google know best? have done all and still NO positive result. Even uninstalled Norton and Chrome to NO effect. Also now unable to access myfiosgateway.com I still be the one in a round room looking for a corner to pee in. This Chrome issue was driving me crazy on my Windows Seven laptop. I tried all of the above suggestions with no success. Disabling the Microsoft Virtual Miniport Adapter in device manager took care of the issue.